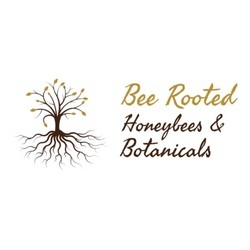 ​In an effort to support local community gardens, Bee Rooted offers free hive hosting for non-profit community gardens. We retain full ownership of the hives and perform all of the maintenance. We operate honey bee hives to maximize beneficial impact to the surrounding ecology of flora and fauna (including humans!). As such, adoptive colonies will be specially chosen for each garden to match the garden space and amount of human activity. ​We can also provide free educational workshops for host community gardens to cover how gardeners can help the honeybees and how to work in harmony with them. This helps to ease and address common concerns. ​Each community garden can integrate liability waivers into their leasing agreements and we provide examples. The volunteer agrees to waive and release the community garden, Bee Rooted, and the beekeeper from any and all potential claims for injury, illness, damage, or death which the volunteer may have against the community garden or beekeeper that might arise out of the volunteer’s service and to hold the community garden and beekeeper harmless there from. This includes any harm that might result from working around or with bees and beehives. ​I agree to stay at least 20 feet away from all bee hives at all times, unless registered for an approved class and have completed a class liability waiver. I agree to not bother the bee hives in any way. This includes not allowing pets to approach the hives. I also agree that any work that involves loud noises and / or machinery within 350 feet of the hive will be delayed until the beekeeper has been notified and has scheduled to close the hives or has scheduled to move the hives for the duration of the work."